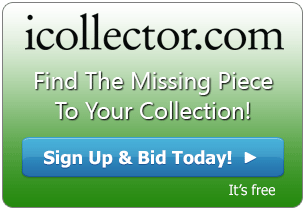 Canadian based auctioneer, Firefly Swamp, is holding its next timed auction on iCollector.com currently running until August 1st, 2015. After their last sale was a resounding success, they have come back with another great offering of over 300 lots to choose from. Included in this auction are Canadian Banknotes and Coins, replacement and error banknotes, a rare selection of Chinese currency, as well as a great selection of valuable silver bullion. This auction even has a great selection of jewelry such as necklaces, rings, and bracelets suitable for anyone. The 1923 Dominion of Canada 25 Cent Shinplaster notes show earlier in the sale at Lots 252 to 255. The all contain the Mcavour / Saunders signatures with the exception of Lot 253 which carries the Campbell / Clark signature. As with the 1900 notes, these are all opening at $10 and will sell to the highest bidder. Bids can be placed right up until auction closing time. A scarce “Devils Face” banknote is up for grabs at Lot 197. Here is a 1954 Bank of Canada $50 Banknote with the scarce portrait. The serial number is A/H 05443340 and this has the Coyne/Towers signatures. Another one is available at Lot 199 and it’s a 2 Dollar note. This also is 1954 and carries the Coyne/Towers signatures. This note has a serial number of A/B 5644230. Both notes are up for auction and have created a lot of interest. For those that desire quality silver bullion, Lot 301 is a must have. This is lot of two 3 gram .999 pure silver bullion pieces. 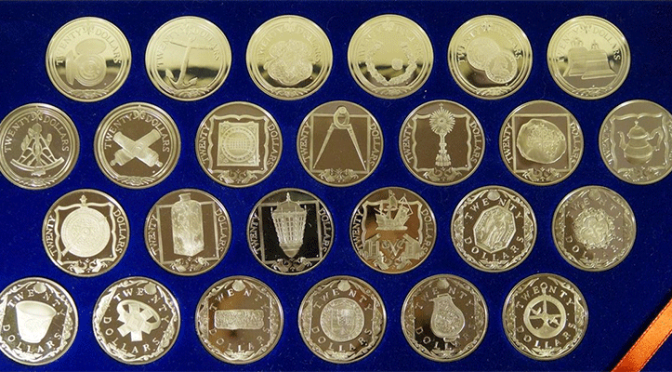 They are carded and serialized from Sydney Precious Metals with serial numbers 00471 and 00483. This lot will be sold as 2 times the high bid amount, also known as times the money in auction vernacular. The auction is ending at 4PM Pacific Time on Saturday August 1st, 2015. There are features in place so any bids within the last 30 seconds will extend the particular lot by one more minute. All items will hammer down on one minute intervals from one another. Join the auction today and get great values from the Firefly Swamp.